A totally new EXO knitted fabric delivers compression and comfort, with silicone integrated into the fabric at the bottom hem so the waist stays in place. 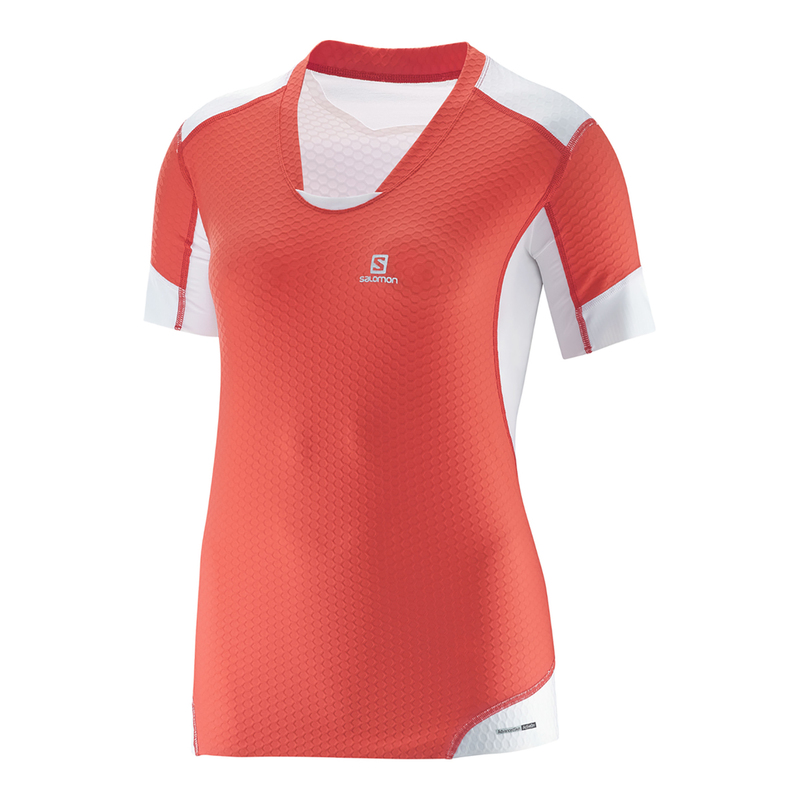 Extensive mesh venting and a very feminine look ensure total comfort whether on a long run or casual strolls. This t-shirt has an exo system that provides you a postural support that improves endurance in long races and the fabric won't hold sweat or weigh you down. I've used it several times and washed it and it never lost color or quality. One thing that is also awesome is the silicone integrated into the fabric at the bottom, so whatever you do and whatever you’re wearing at the bottom, the t-shirt will stay in place. Not to mention the beauty of the t-shirt and the feminine design. So if you’re searching for a t-shirt for your races or your trainings, SALOMON T-shirt Exo Pro Tee won’t let you down.